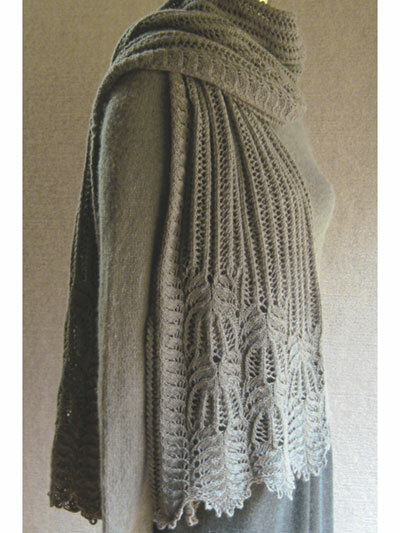 Beautiful and simple to knit! 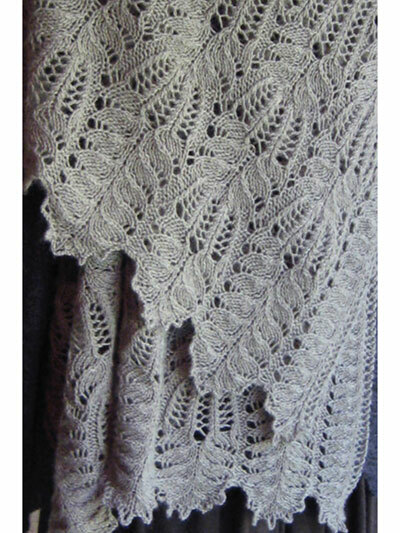 Variations on a theme describes this lace shawl with its delicate picot edging -- two simple lace patterns juxtaposed in five harmonious movements to create an exquisite shawl. Knit with 738 (1,230, 1,722, 2,214) yds sport-weight yarn using U.S. size 6/4mm needles. Design by Carol Sunday. Width: 11 1/2 (19 1/4, 27, 34 3/4)"